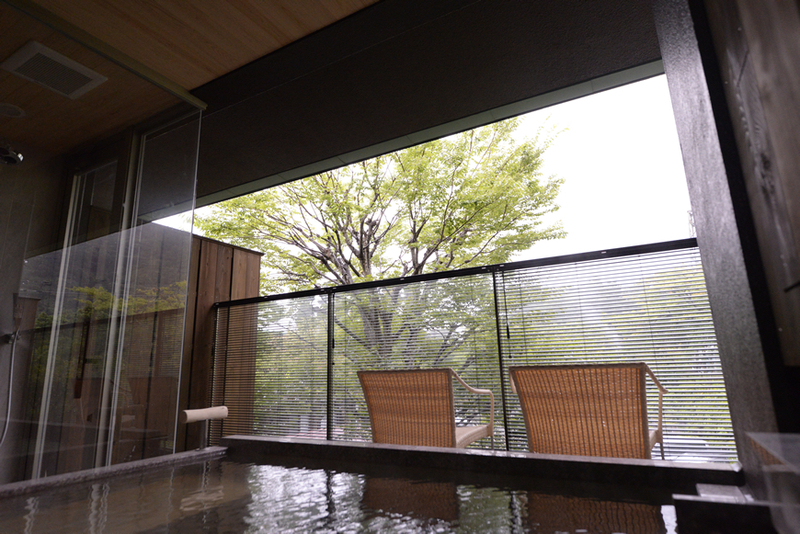 the blessings of the natural environment which depict the changing of the seasons. 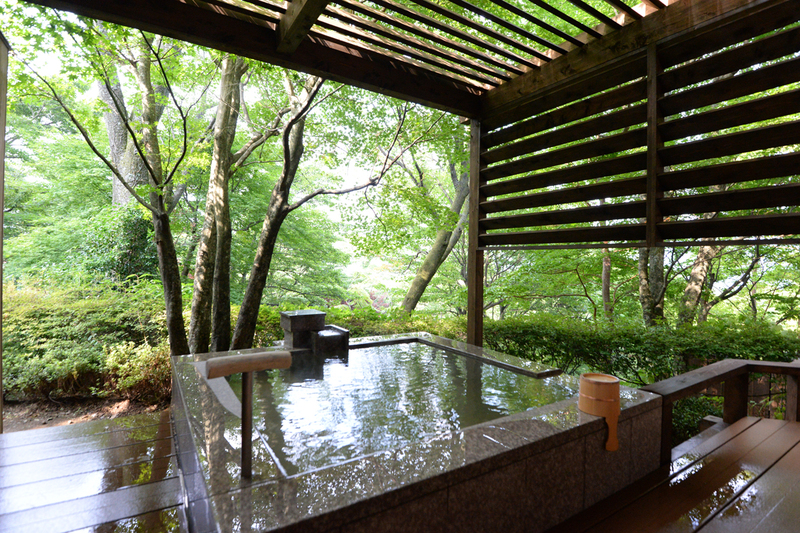 the calling of the wild birds, the chirping of the insects, and the light and shadows cast by the various deciduous trees. 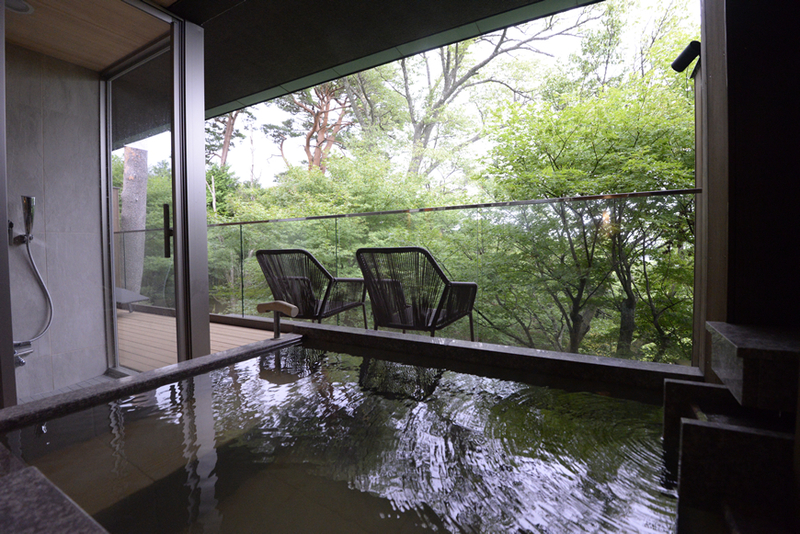 in both volume and water quality. 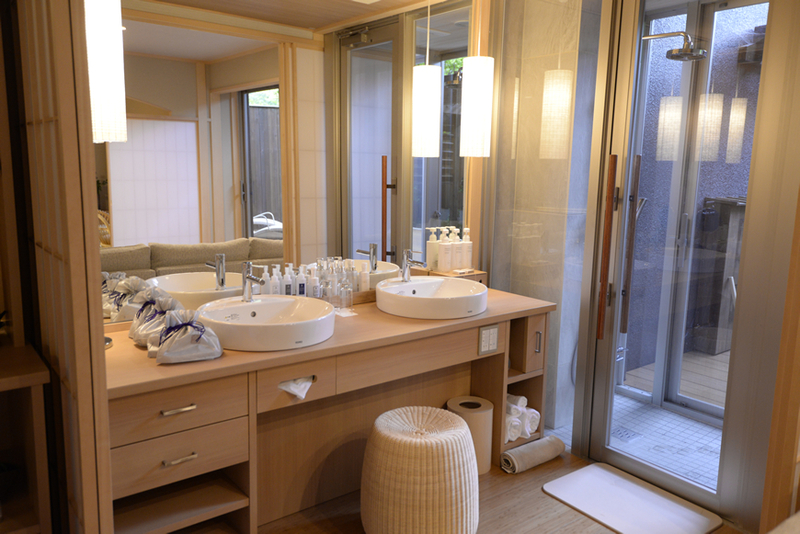 During your stay you will be able to enjoy a relaxing and luxurious time. 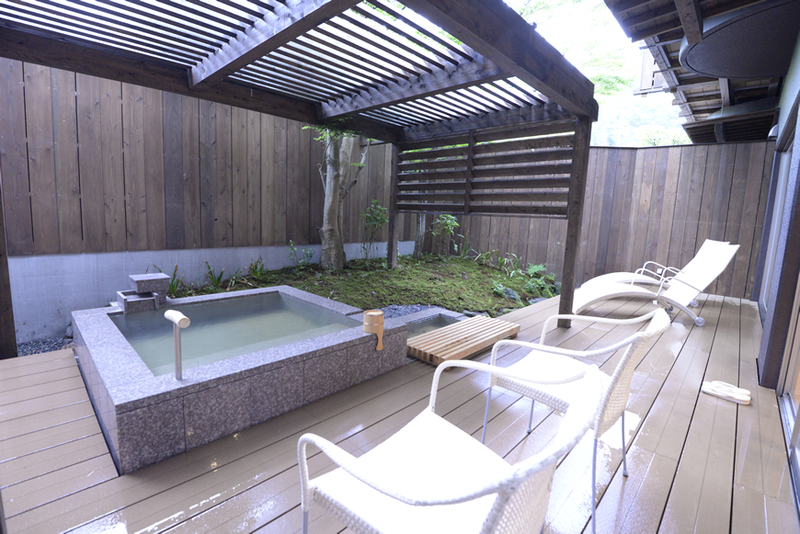 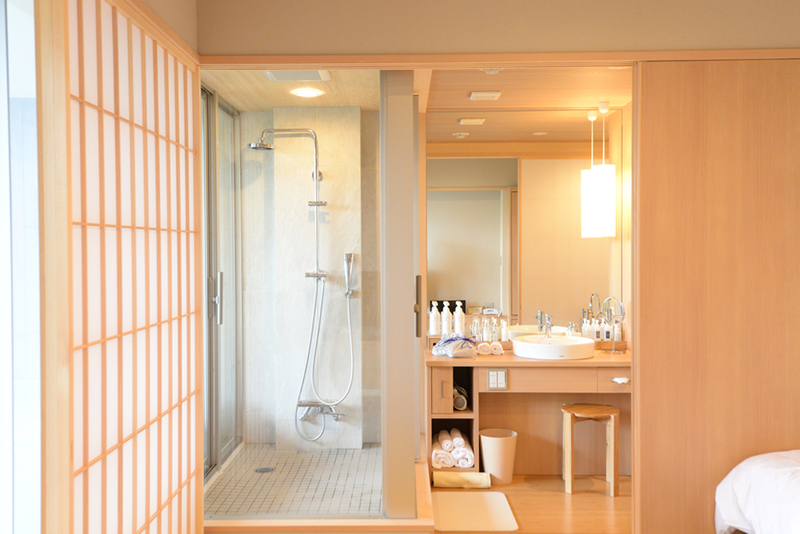 With the largest open-air bath in Byakudan, we offer the room featuring delicate but daring Japanese style decoration and the bedroom with our hospitality in its every aspect. 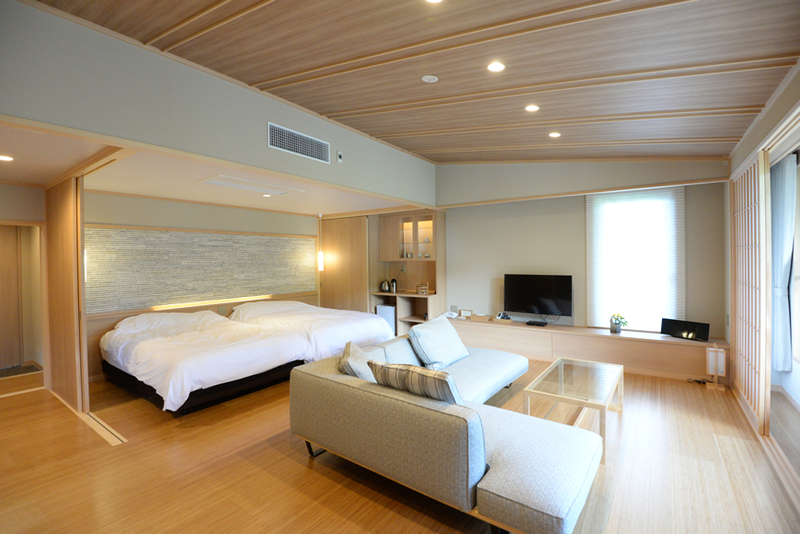 The rooms are equipped with large sofas for the ultimate relaxation, and the decks are also equipped with relaxing sofas, chairs, and loungers. 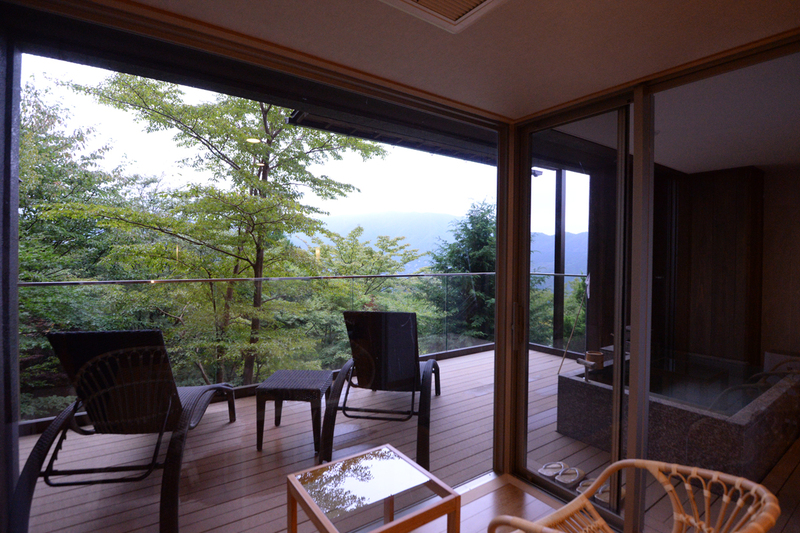 From the edge of the deck you can view the slope of Mt. 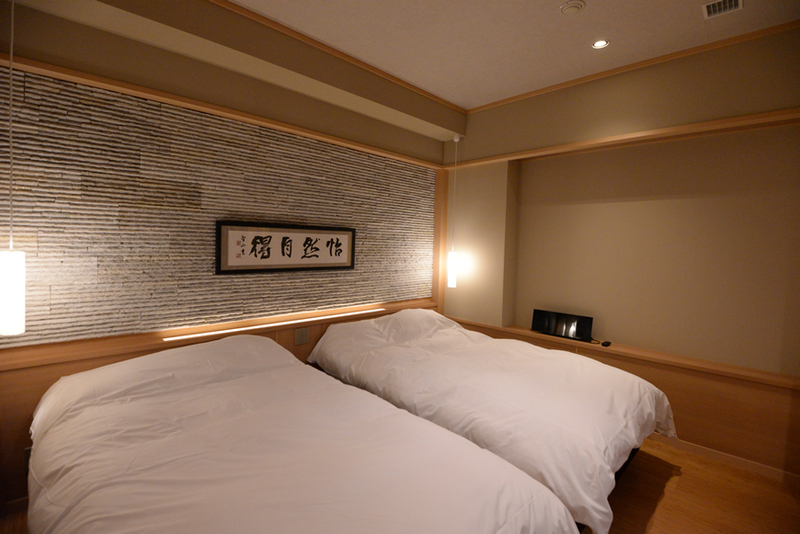 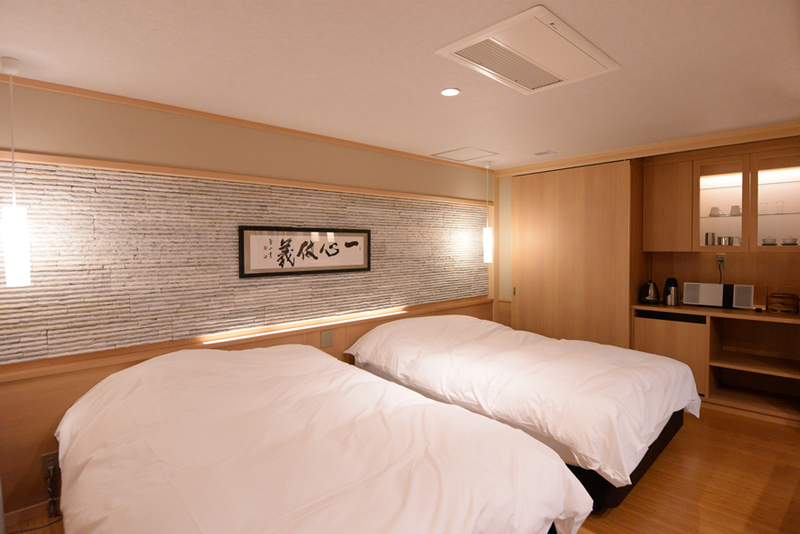 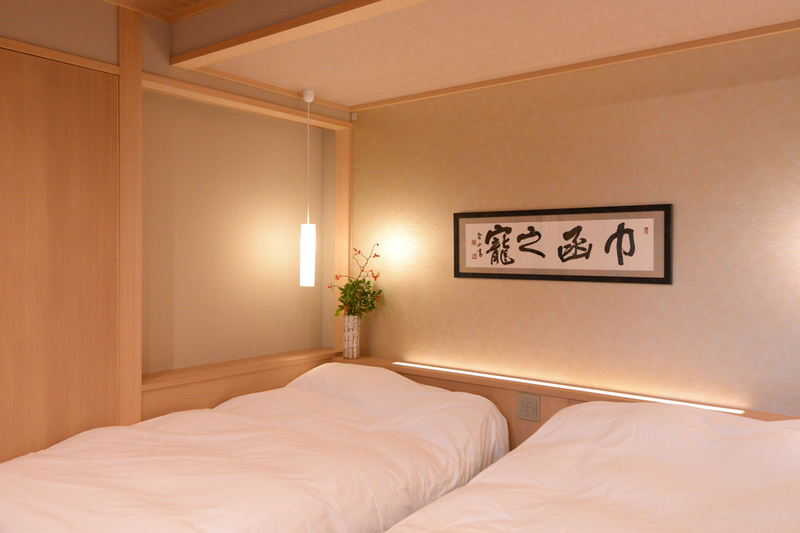 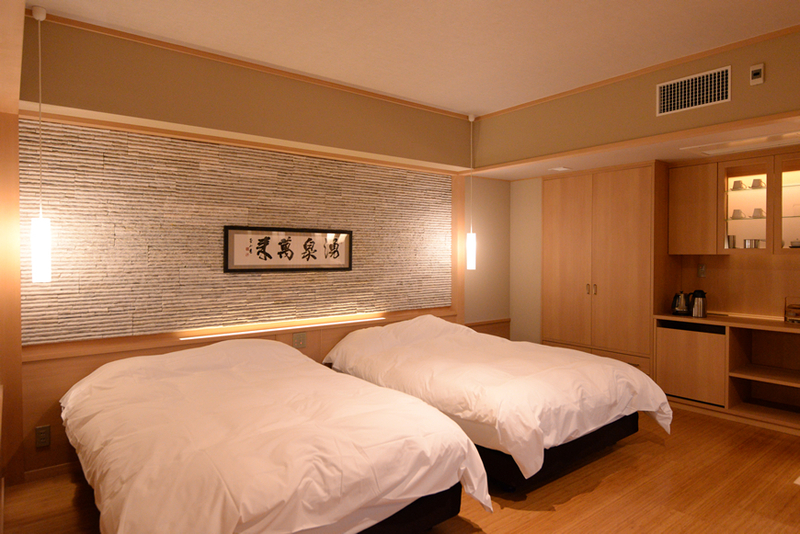 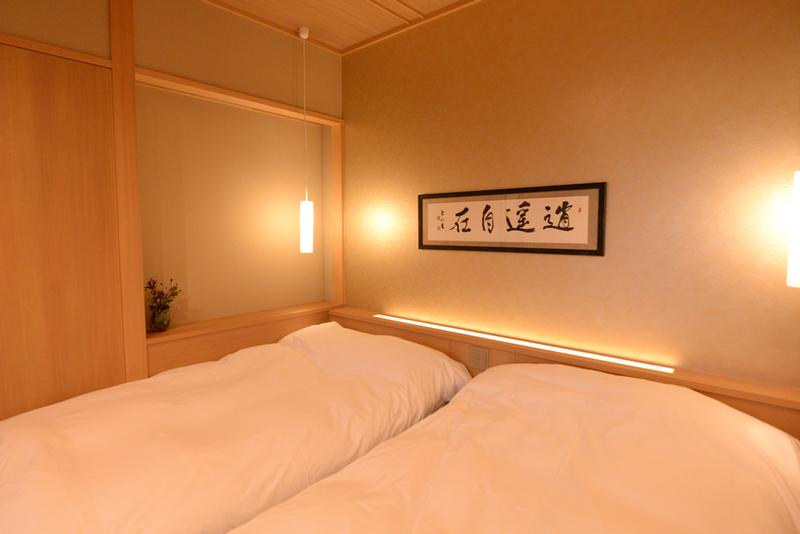 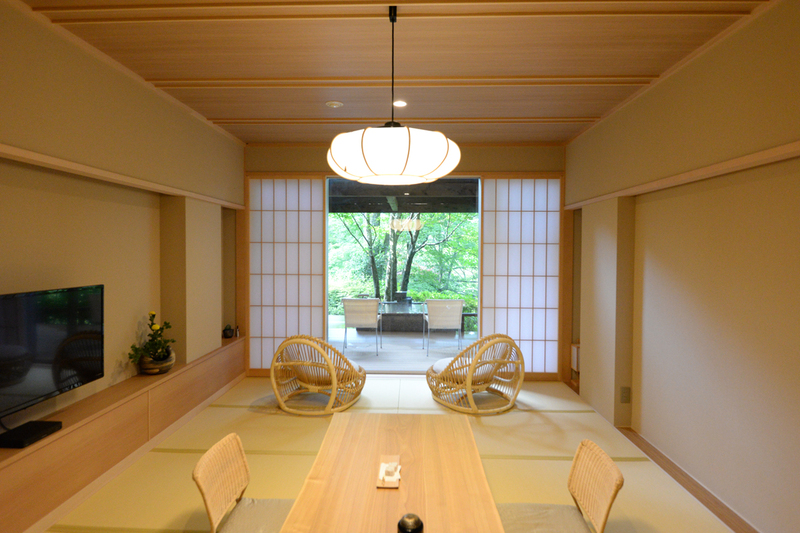 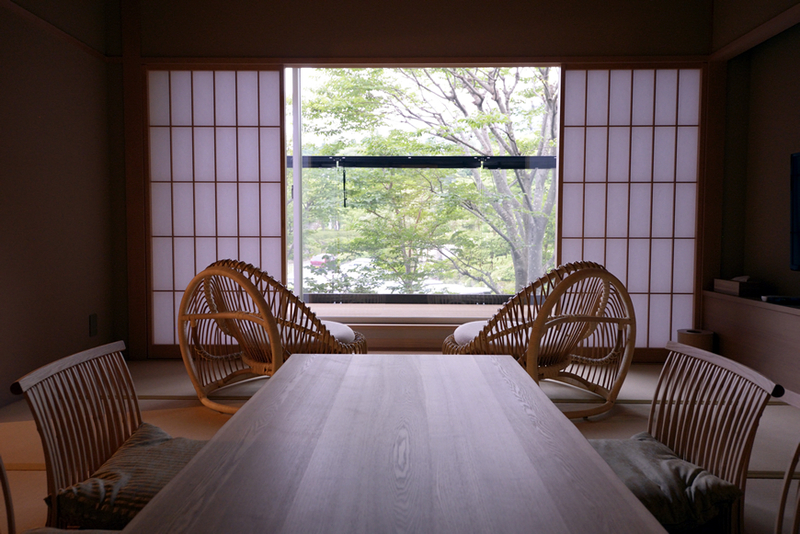 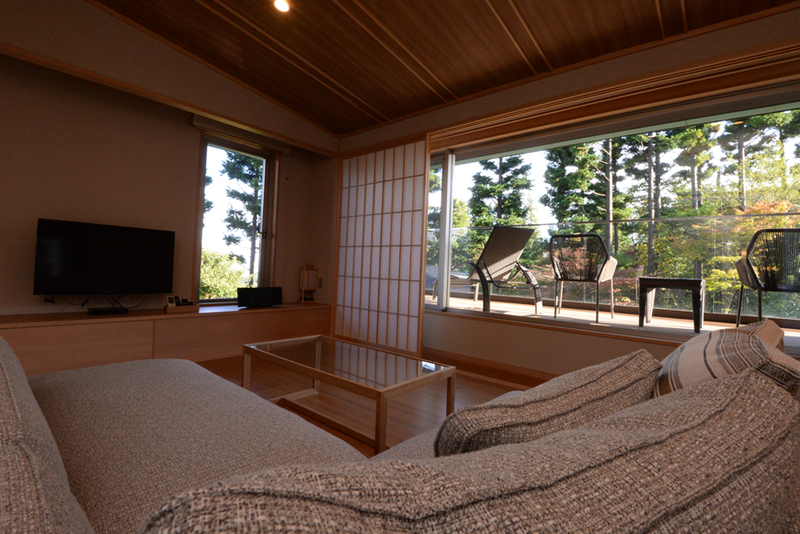 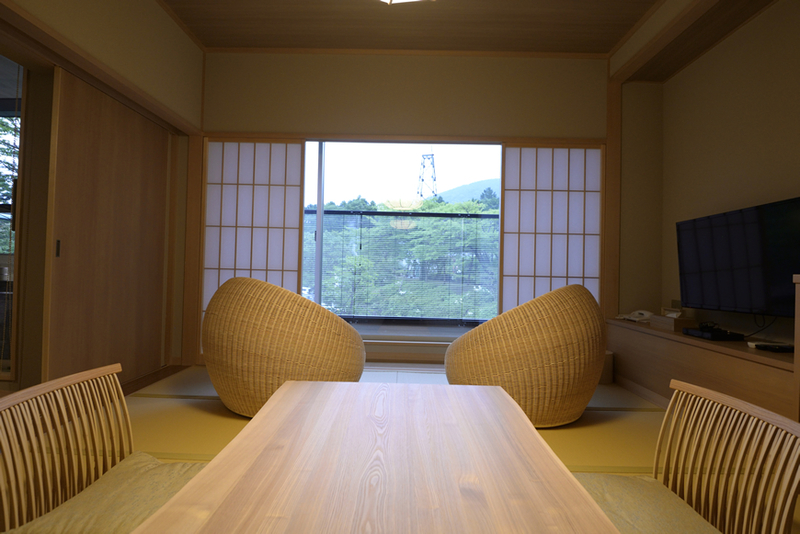 Nyoigatake for Daimonji-yaki and Sagami Bay in the background, and this relaxing 110 square meter suite type room is the largest in Byakudan. 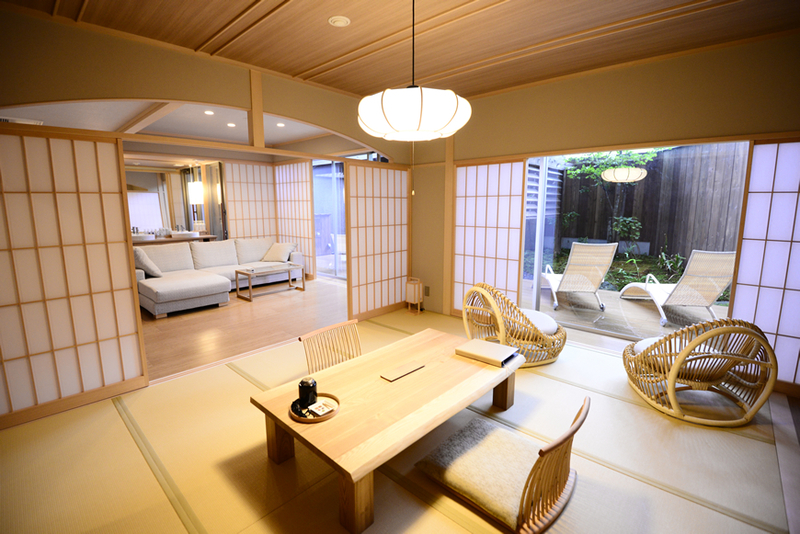 This spacious 90 square meter suite room features Japanese style room equipped with a rattan easy chair by a top Japanese designer, creating a sense of Japanese taste, in addition to the Western style space overflowing with functional beauty including a large bed and sofa. 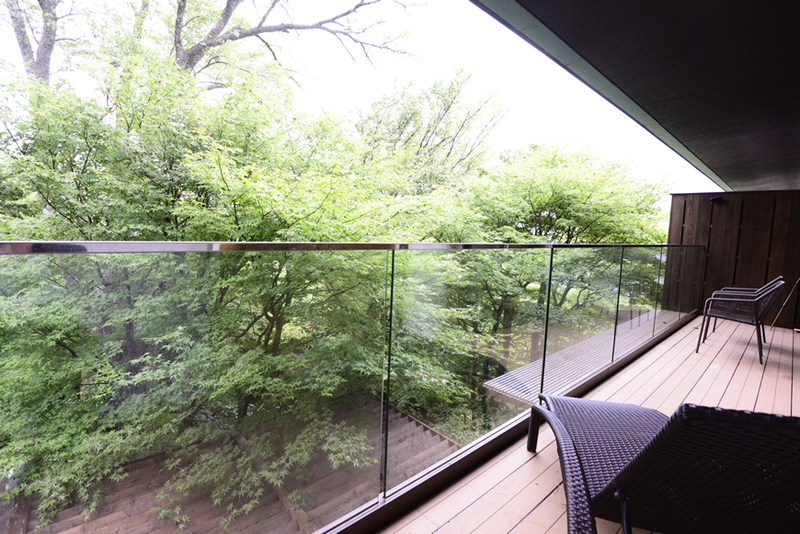 The deck terrace with lots of atmosphere faces our large private garden, a moss garden with the sunlight filtering through the deciduous trees, equipped with the only foot bath in our facility. 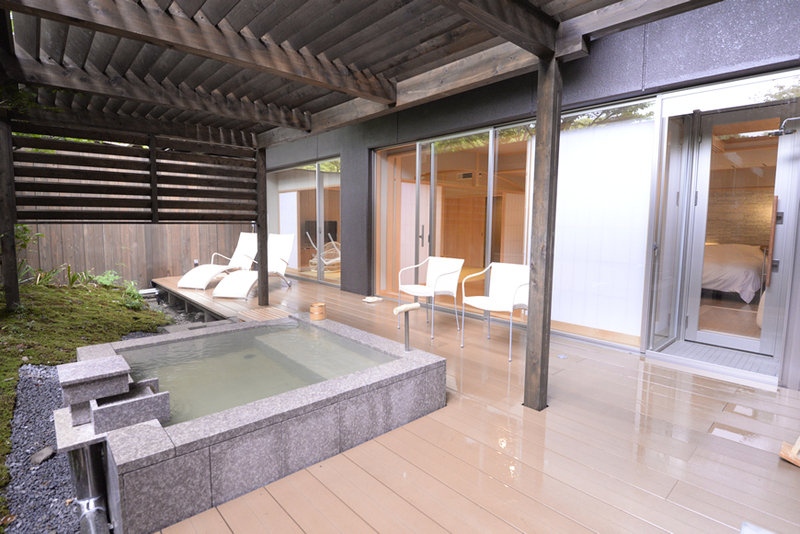 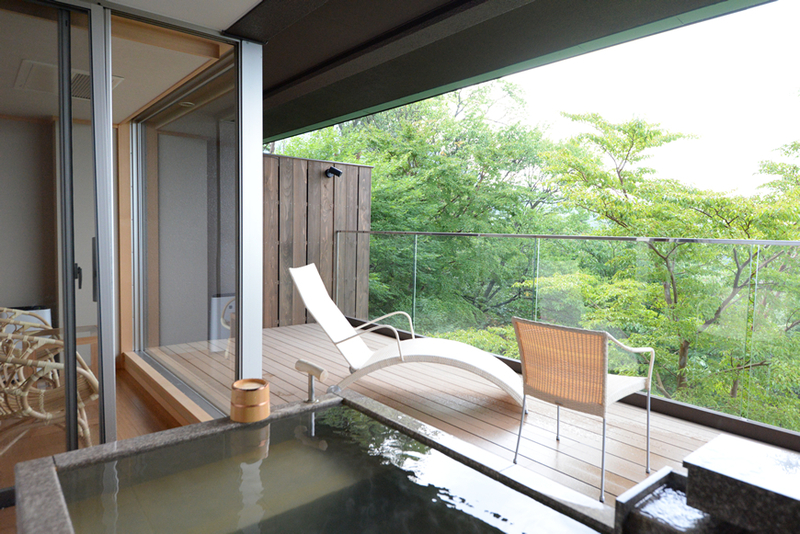 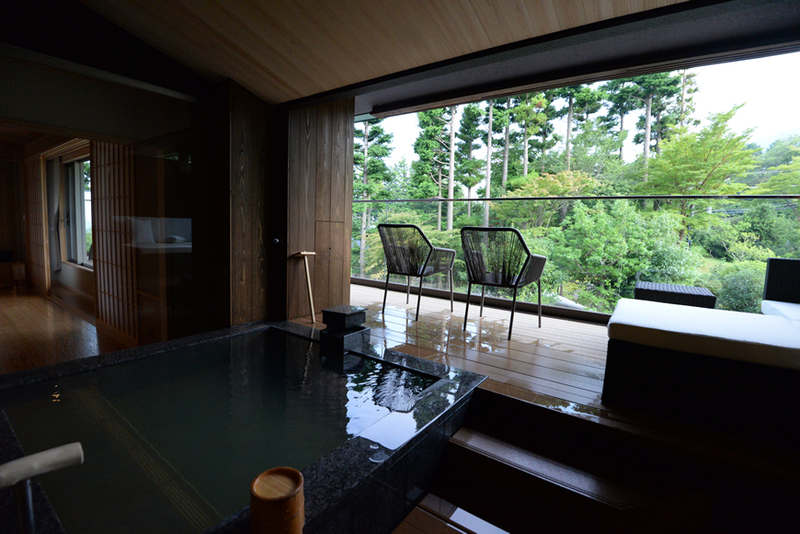 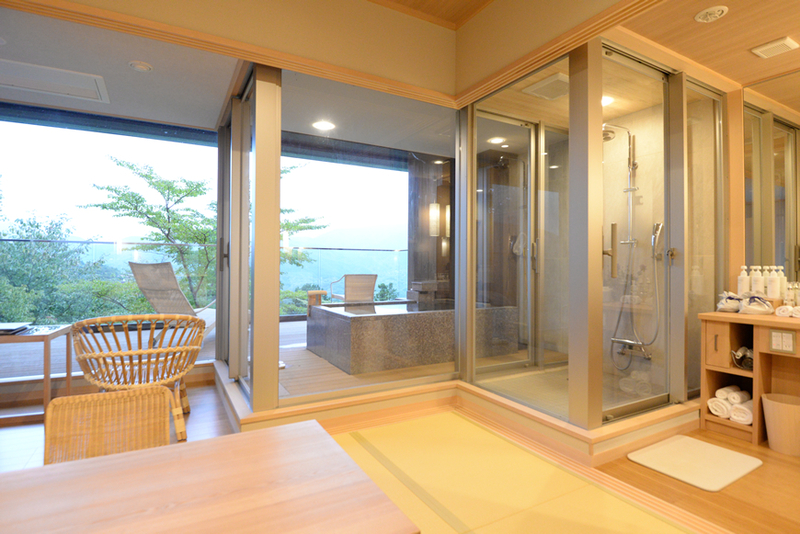 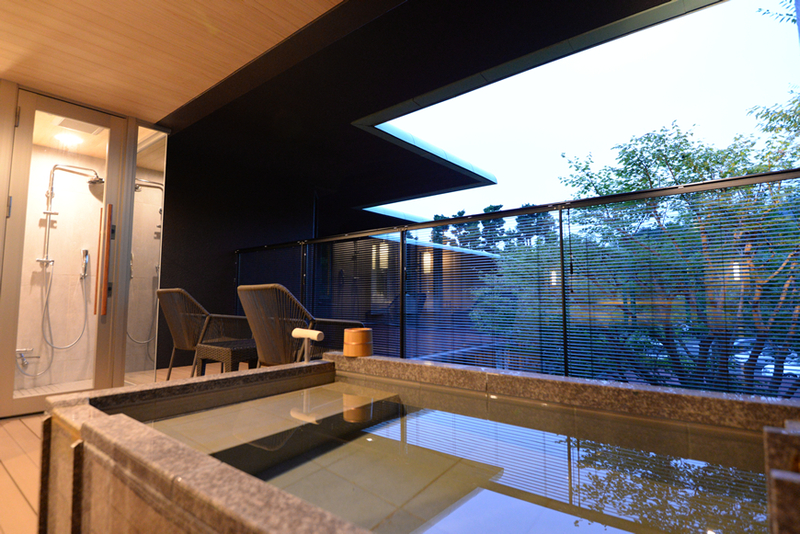 Relax your body in a deck lounger or deck chair and enjoy the view of the magnificent steam rising from the natural hot spring tower and the distant Hakone Mountains and it will surely calm your mind. 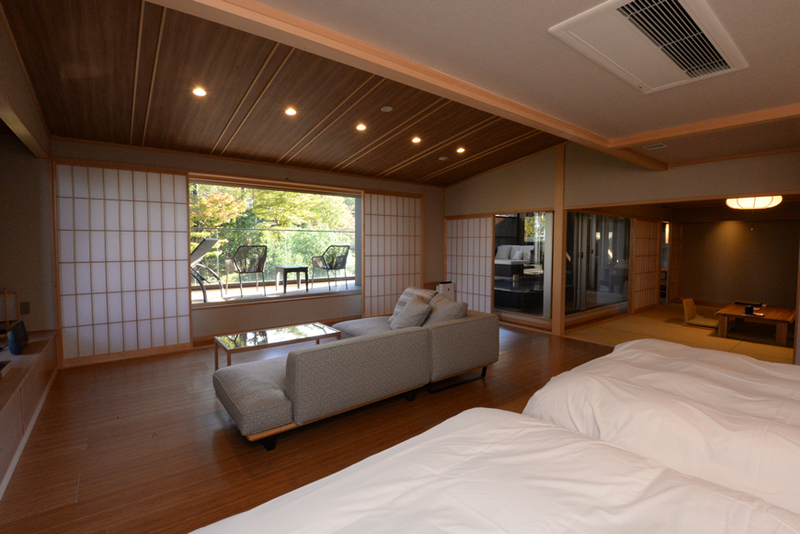 This guest room features a large-scale 12-tatami Japanese style room filled with Japanese taste and a spacious and functional bedroom with a rattan easy chair designed by a top Japanese designer. 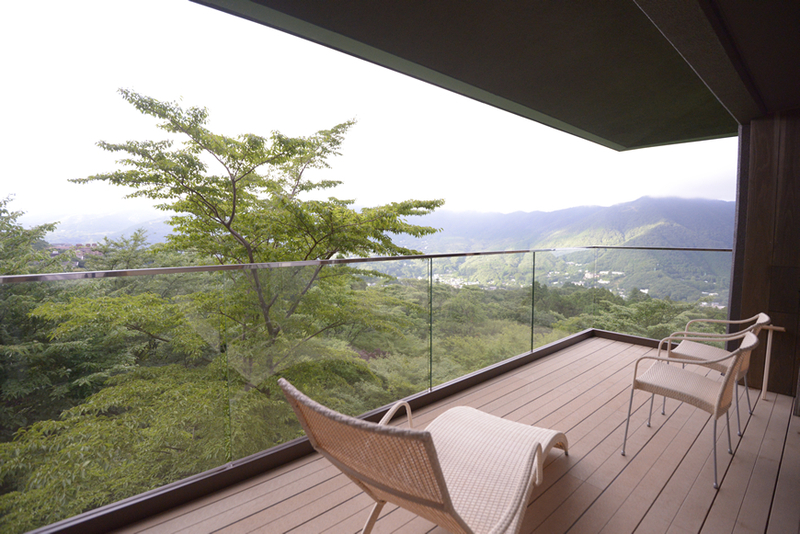 The deck, which gives you a view of the profundity and grandness of nature, is equipped with a deck lounger and deck chairs. 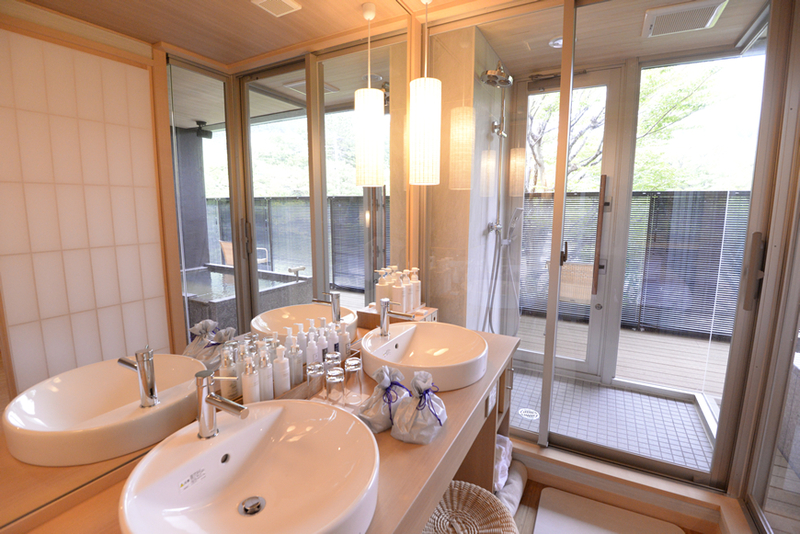 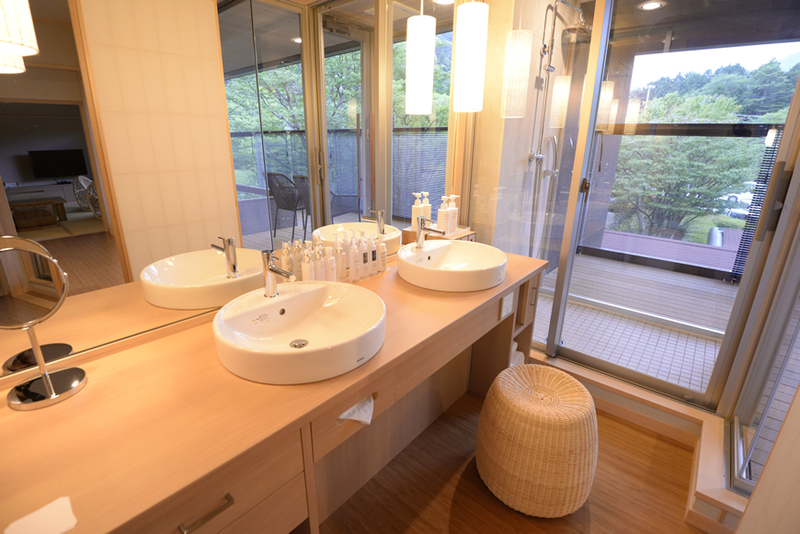 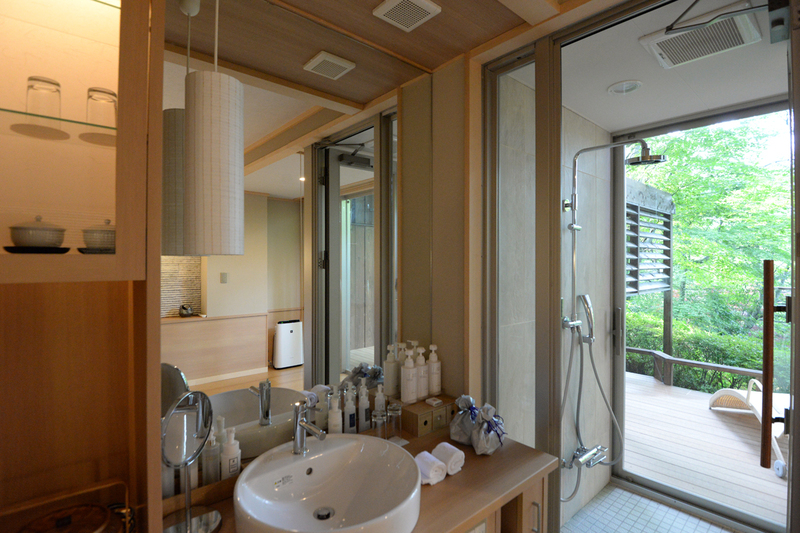 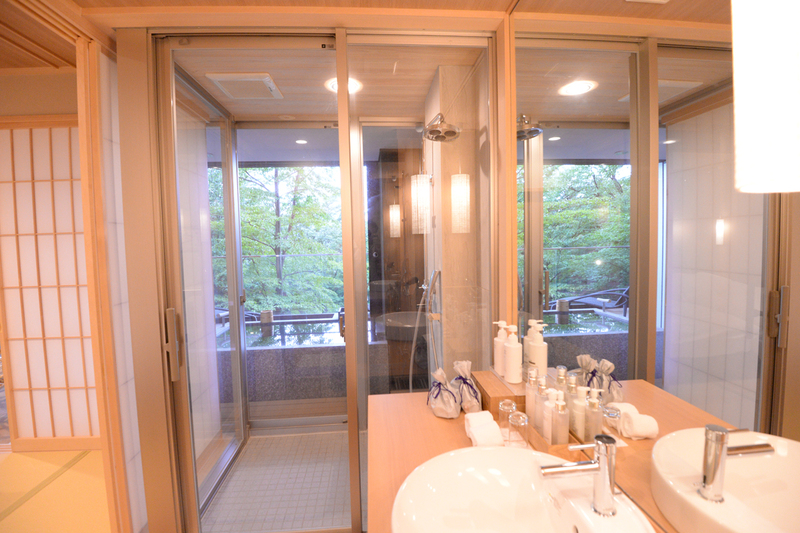 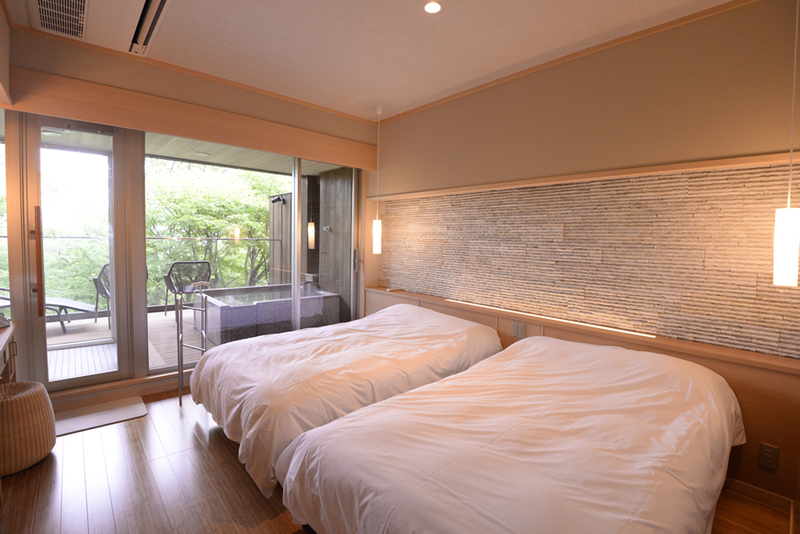 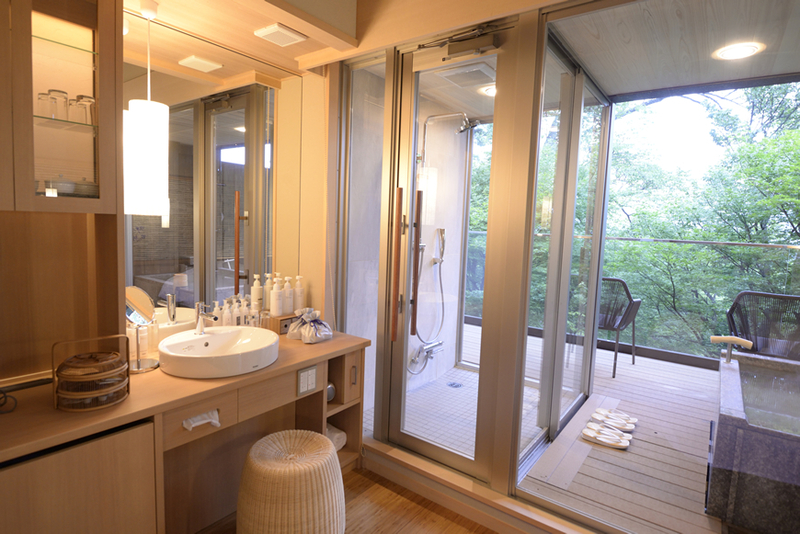 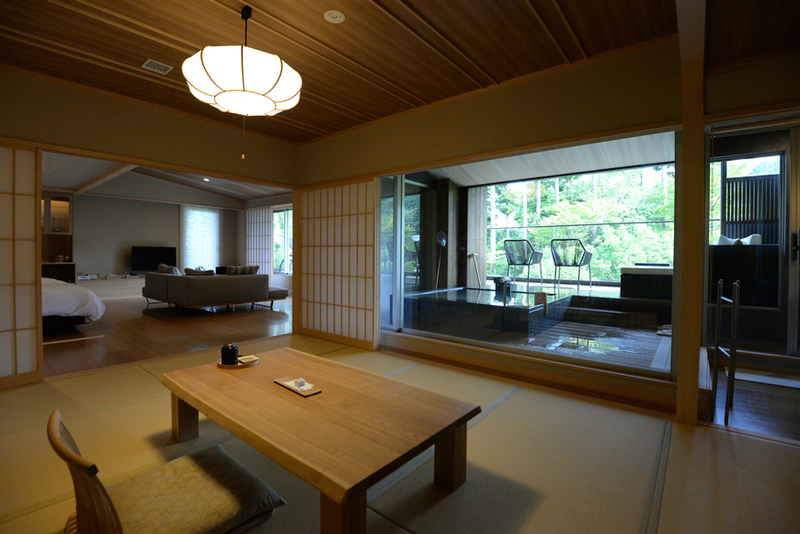 This spacious 75 square meter suite type room offers a view of the Hakone mountain range lined up in the distance and the magnificent spacious natural garden. 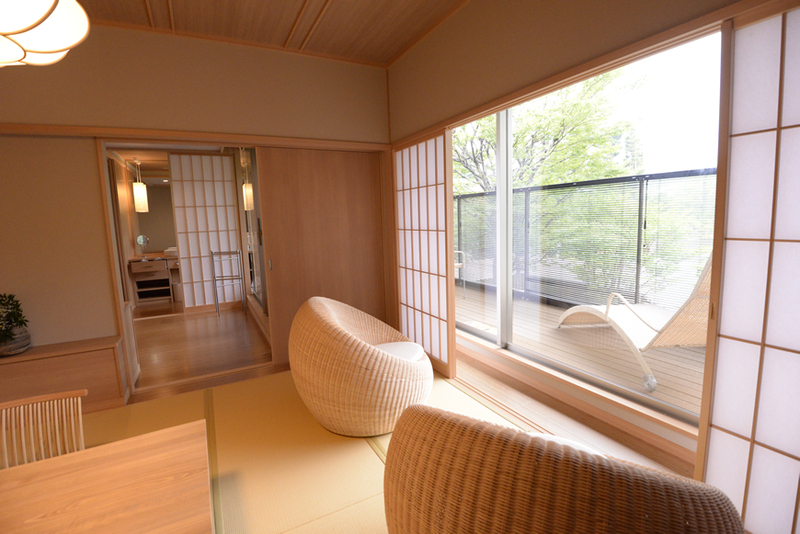 In this 65 square meter suite type room, the deck offers a view of the magnificent steam rising from the spring water tower between the deciduous trees, is equipped with an open-air bath, a deck lounger and deck chair, while the Japanese room with a sense of Japanese taste is equipped with an rattan easy chair by a top Japanese designer and the bedroom is functional and spacious. 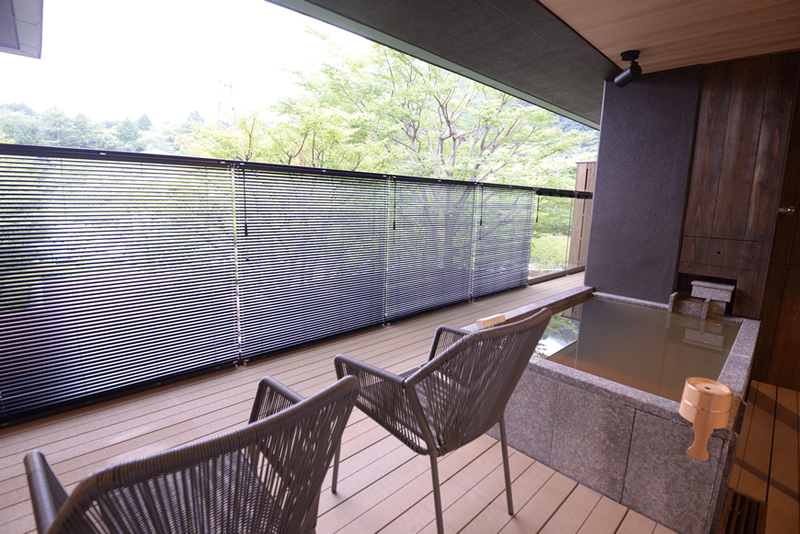 The deck is also equipped with blinds that can be open or closed so that you can incorporate the view as you wish (please note that you cannot view the distant forest or mountains). 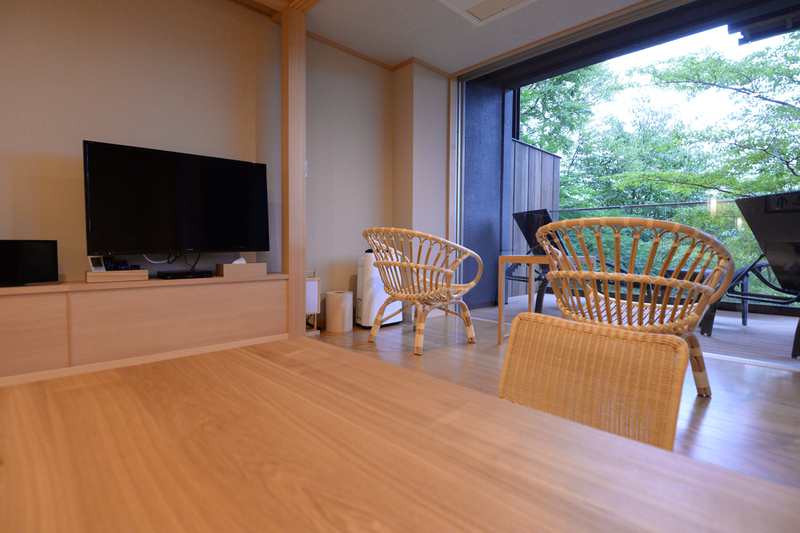 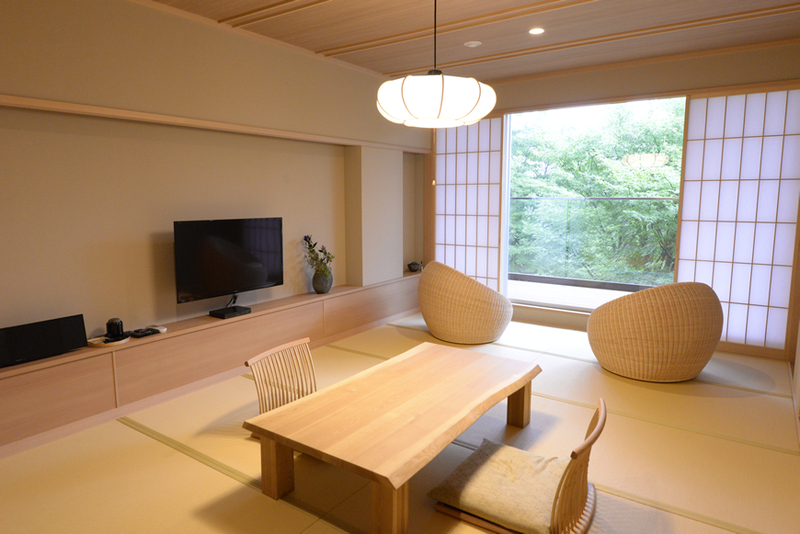 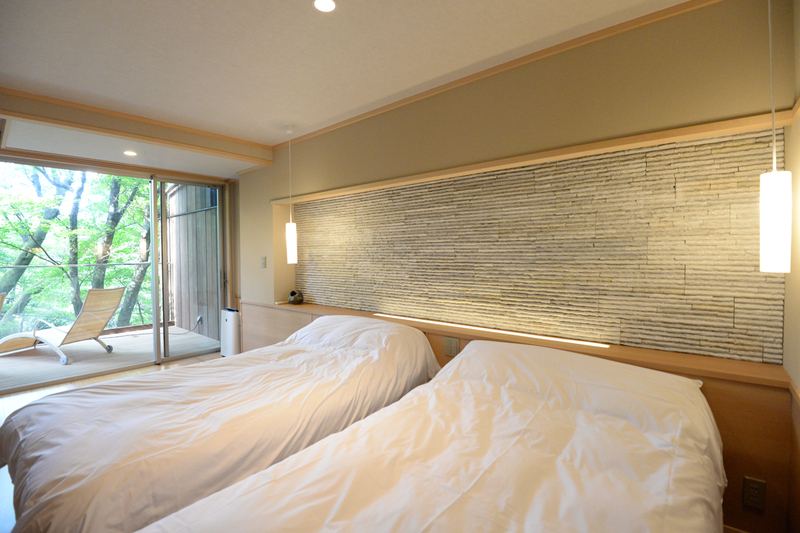 This is a 50 square meter Japanese-Western style room which offers a lovely view of the natural garden and Hakone mountain range for you to enjoy to your heart's content. 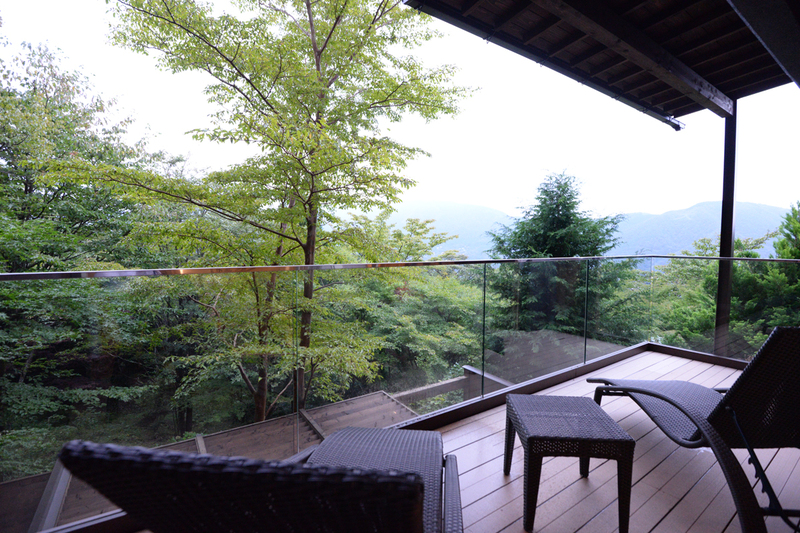 The deck with its stunning view of nature filled with negative ions is also equipped with a deck lounger and deck chair, and the spacious veranda features a rattan chair by a top Japanese designer. 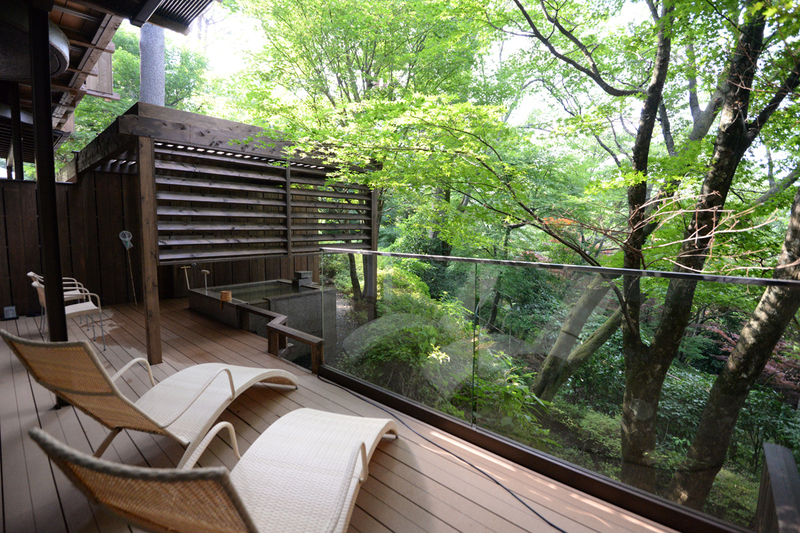 Draw in a full breath of fresh air along with the singing of the birds and forget the stress of your daily life.